18.06.2018 ~ Đào Thu Hằng	~ Bạn nghĩ gì về bài viết này? Written by Khanh Tran. Top photo by Kevin Lee. 09.12.2017 ~ Trần Đình Hoành	~ Bạn nghĩ gì về bài viết này? 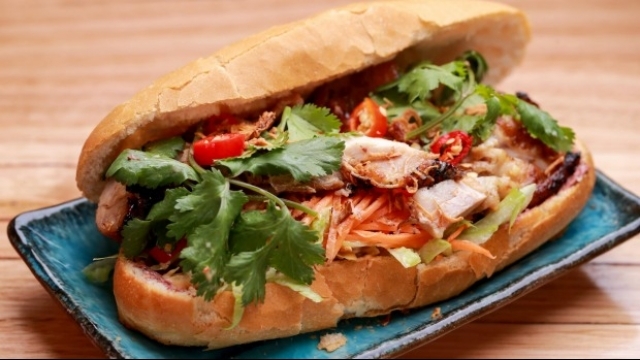 Banh mi Hoi An (Hoi An-style bread rolls) has been listed among the world’s Top 10 sandwiches by Austrian travel website Traveller, together with well-known American cheeseburgers, English bacon butties, and Japanese Katsu Sando. Bloomberg news agency has recently unfolded a list of 12 restaurants across the world worthy to try at least once in life. 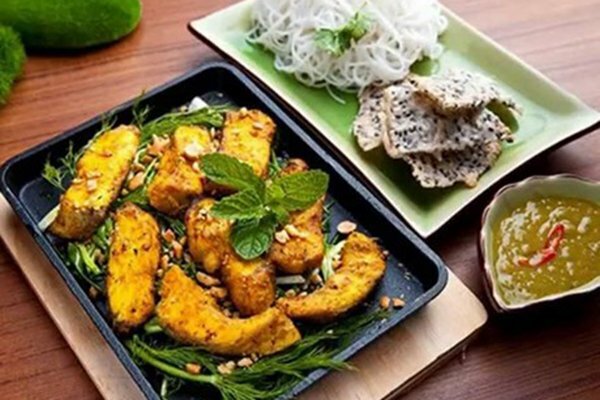 Surprisingly, Cha Ca La Vong restaurant in the Vietnamese capital city of Hanoi took pride in securing a spot in the list. 27.11.2017 ~ Trần Đình Hoành	~ Bạn nghĩ gì về bài viết này? 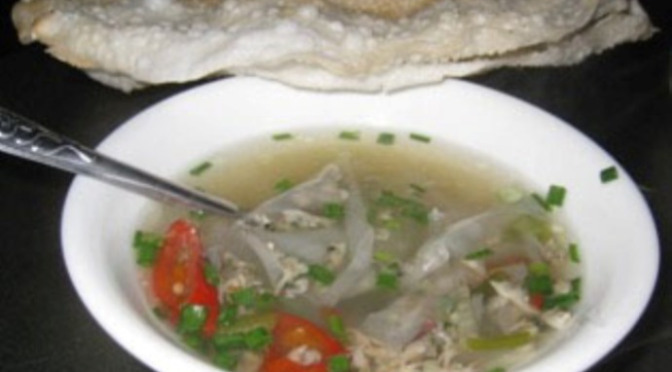 VietNamNet Bridge – Enjoy vegetarian dishes on any day of the month to maintain a healthy body and soul. 04.11.2017 ~ Trần Đình Hoành	~ Bạn nghĩ gì về bài viết này? 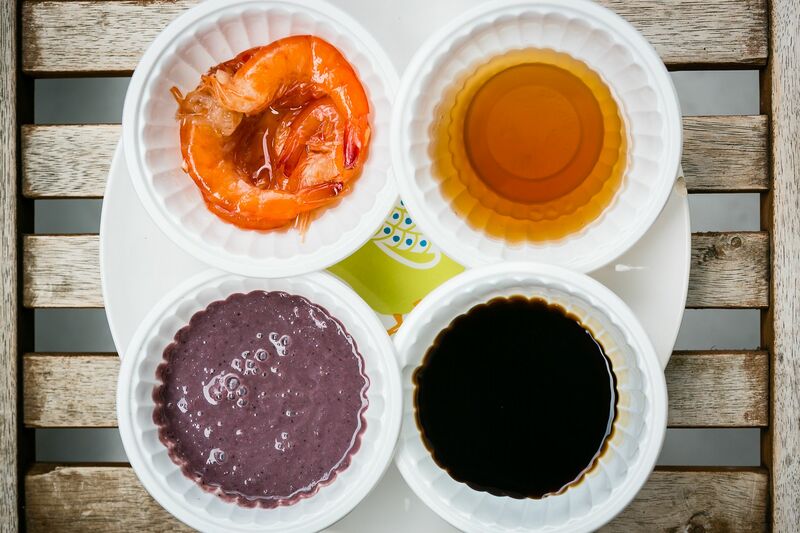 An underground food court in downtown Ho Chi Minh City is featuring a variety of Asian cuisines, offering its visitor a truly unique culinary experience. 16.10.2017 ~ Trần Đình Hoành	~ Bạn nghĩ gì về bài viết này? But which are the tastiest? Which are the best foods? 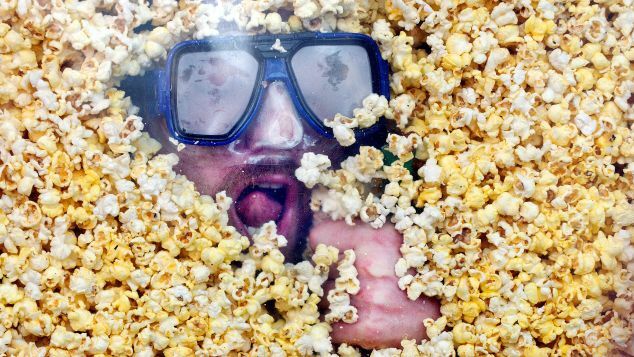 We’ve scoured the planet for what we think are 50 of the most delicious foods ever created. 02.09.2017 02.09.2017 ~ Trần Đình Hoành	~ Bạn nghĩ gì về bài viết này? 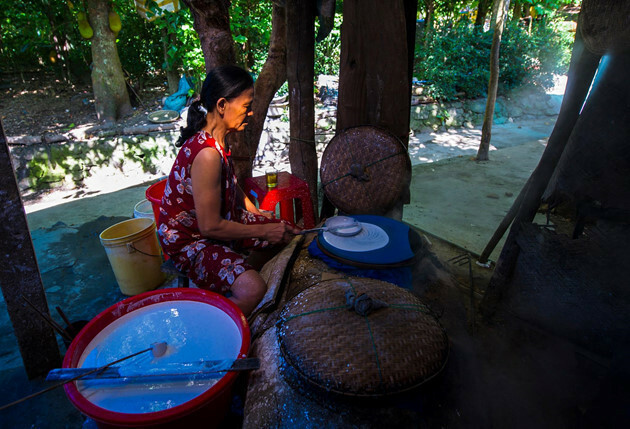 The Luu Bao craft village of steamed rice pancakes and griddle-cakes was founded in the late 15th century. Its traditional craft has been preserved through generations. 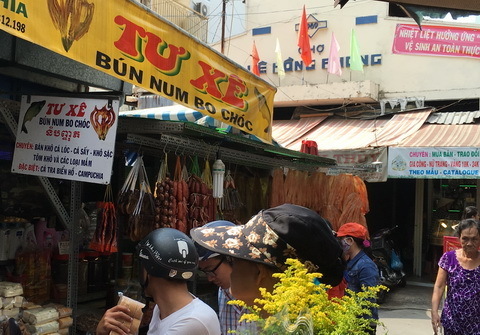 Its official name is Le Hong Phong Market, but for decades people have been calling this market in HCM City’s District 10 “Cambodian Market” simply because it sells certain products from Cambodia. Cambodian Market has expanded with locals getting in on the act, but its true Cambodian soul is still preserved by around 15 stores run by the children and grandchildren of the families that fled Cambodia more than 40 years ago. After turning into alley 374/51 on Le Hong Phong Street, it is easy to find the market since Cambodian colours can be seen all over the place. 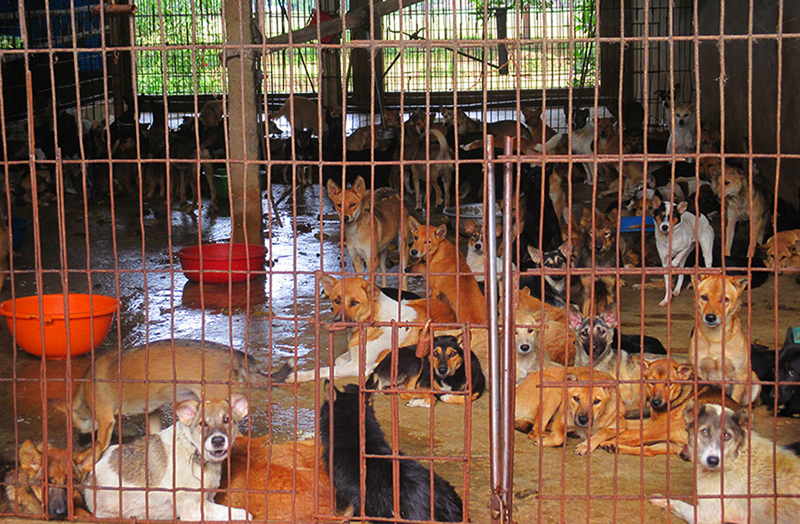 The market dates back to the 1970s when Vietnamese-Cambodians were forced to flee Cambodia due to civil war. 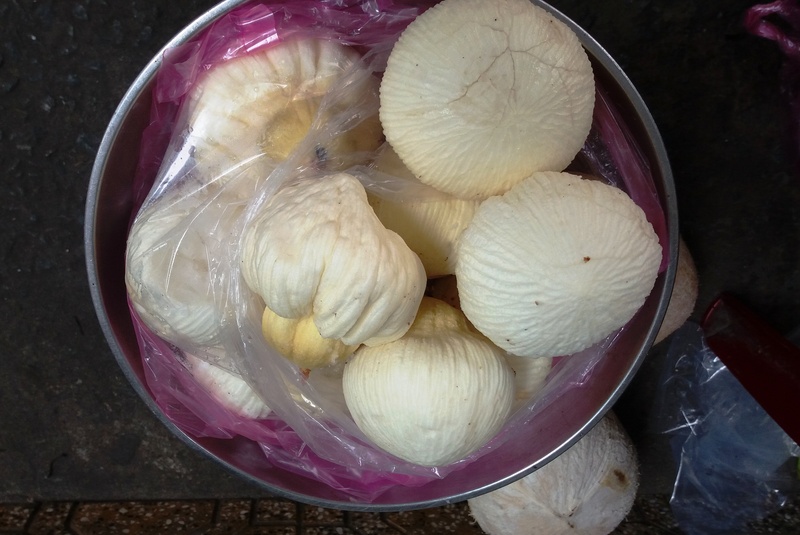 They returned to Viet Nam and set up the market together, according to a vendor named Tu Xe. These days, Cambodian Market has expanded with locals getting in on the act, but its true Cambodian soul is still preserved by around 15 stores run by the children and grandchildren of the families that fled Cambodia more than 40 years ago. 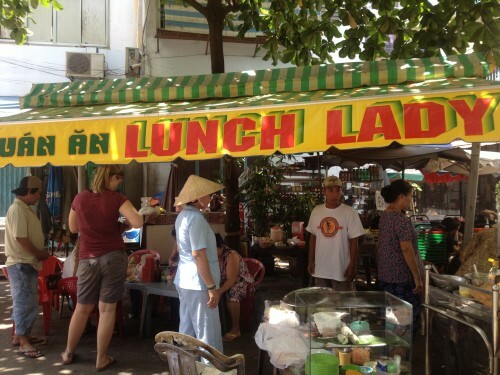 VietNamNet Bridge – The best local restaurants in HCM City are legendary establishments that have stood the test of time, offering authentic and satisfying meals at incredibly attractive prices.